All applicants must be enrolled, or due to be enrolled, as a full-time student at an accredited US college or university for the semester, they are applying to receive the scholarship. Domestic and international students may apply. What inspired your interest in STEM? Do you have a STEM mentor? How would you like to use STEM in the future? Please submit The DaVinci Body Sculpting Women in STEM Scholarship form below. All applications must be submitted by April 30, 2019. A winner will be selected and notified via email by May 15, 2019. Winning candidate will be selected by a panel of judges from DaVinci Body Sculpting. Our judges are looking for essays that convey passion, knowledge, and personality. Any copies work or work that is not within the word-count criteria will be disqualified. Any questions about The DaVinci Body Sculpting Women in STEM Scholarship can be directed to [email protected]. The scholarship funds provided by DaVinci Body Sculpting will be sent via check to the college or university. Funds are to be applied to qualified college expenses (including tuition, fees, books, and on-campus room and board) for the current academic year. All materials related to the winning applicant’s announcement will be posted based on the applicant’s consent. When permission is given, DaVinci Body Sculpting will post the winner’s name, college, photo (if submitted), and their essays on and/or in other marketing communications. By submitting the application, we are granted permission to send you information regarding your application only. Applicants’ emails will not be used for any marketing purposes. The winning applicant will be notified directly by May 15, 2019, and an announcement of the winner will be posted on our scholarship page on that date as well. All submitted photos and essays must be original work of the applicant. Only one submission may be entered per student, per year. Duplicate entries will be disqualified. All scholarships are non-renewable. By submitting an application to The DaVinci Body Sculpting Women in STEM Scholarship, you certify that all the information you have provided is original, accurate, and complete. Use their name, photo, essay response, and award amount, if any, in announcements or articles (i.e. social media, newsletter, etc.) issued by DaVinci Body Sculpting. Post the applicant’s name, college or university, and the essay on DaVinci Body Sculpting’s website. Winners will be notified via email, and announced publicly, as well as on DaVinci Body Sculpting’s social media pages. DaVinci Body Sculpting provides CoolSculpting services to our clients. Our organization was founded by Dr. John Bergeron and his wife, Lori Lemon Bergeron. Dr. Bergeron is a cosmetic surgeon specializing in liposuction and is one of the most requested surgeons in the Houston area. In addition to surgical and non-surgical intervention (like CoolSculpting), he promotes a balanced, healthy approach to weight loss and fat reduction through a combination of diet and exercise. Lori Lemon Bergeron began her career as a model and an actress, then moving into IT, where she became a highly ranked sales professional for 26 years. 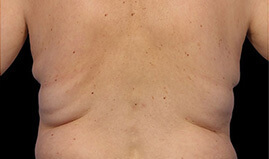 Because of this unique background, Lori is able to blend science, beauty, and artistry to achieve incredible CoolSculpting results. Through her advanced training and certification at CoolSculpting University, Lori performed countless CoolSculpting procedures with fantastic results.